Let the rockin’ sounds of Ritchie Valens La Bamba entice you as you get down with big wins and prize multipliers, it’s the spectacular new slot game from Real Time Gaming at Slots of Vegas Online Casino. 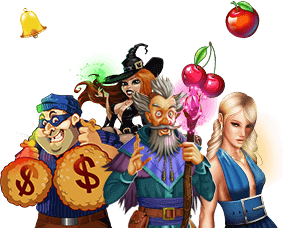 Sign up now with a minimum $50 deposit to receive a 250% No Max Bonus and 30 Free Spins! Just use coupon code ROCKABILLYBOOGIE. Ritchie Valens is the wild, which doubles wins; hitting four or more of the La Bamba Record scatter symbols triggers the Ritchie Valens free games feature. Play for a chance at huge bet multipliers, up to 20 free games and enhanced prizes! It’s time to get down, baby! Ritchie Valens La Bamba is a 6-reel, All Ways Pays online slot, which gives you plenty of chances to win free games and bonus prizes on every turn. The coin size is adjustable as is the reel speed, allowing you to customize the size of your bet to suit your bankroll at your desired pace. Simply click spin to play after you’ve selected your bet size (we recommend max betting), or turn on the Autoplay feature to watch those reels spin. Ritchie Valens La Bamba is designed to accommodate both penny slot enthusiasts and players who like to spend a bit more on each spin of the reels. The 6-reel slot’s Any Ways Pays reels make it possible to keep the wagers for the game low or go high if your bankroll allows. The Autoplay feature is convenient and easy to use; just set a bet level, determine how many spins you want to play, and enjoy watching the scatter symbols appear to earn free games and whopping bet multipliers. Ritchie Valens is wild on reels 2, 3, 4 and 5 in normal games and counts for all symbols including scatters. Whenever Ritchie Valens appears he expands to cover the reel before pays are awarded. Ritchie Valens counts once on his reel for scatters. The prize is doubled when Ritchie Valens appears in a win. 4 or more Left to Right or Right to Left scatters triggers the Ritchie Valens free games. Free games are enhanced if 5 or 6 scatters trigger the feature.